The ‘New’ Anglers’ Lodge is Looking Good! 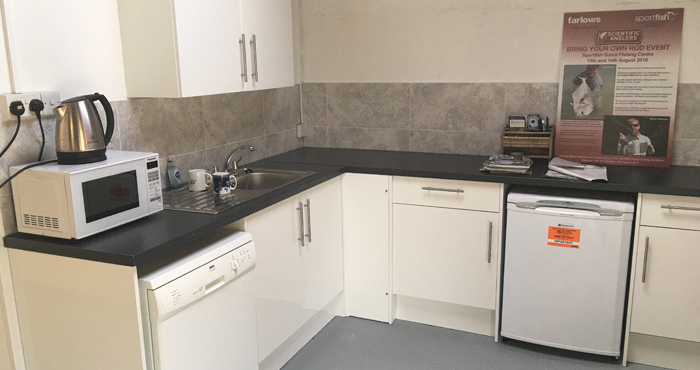 Refurbishment works to the anglers’ lodge at the Game Fishing Centre are now nearing completion with the painting now finished and a new kitchen, including mod cons such as a dishwasher, all installed and ready to go. New tables and benches are in place and we are now creating a small shop inside the lodge to allow anglers on site to purchase essential items when the main Sportfish store is closed. The new kitchen has now been installed.